The advent of the Airbus 350 and Boeing 787 Dreamliner has ushered in a new era of long-haul travel, with Singapore Airlines, Air New Zealand and Qantas all introducing 17 hour-plus flights this year. And these fuel-efficient aircraft are driving the inflight entertainment industry to introduce innovative new systems that deliver an exceptional experience to passengers who are now onboard for almost an entire day. 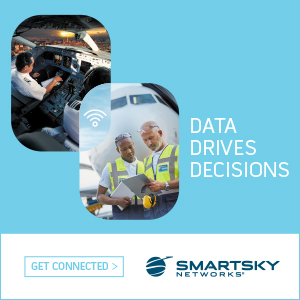 Advances in technology and the proliferation of inflight connectivity continues to drive revenue capabilities, with ancillary revenues increasing to $82.2bn across the airline industry, accounting for almost 11% of global revenues. Here, IFEC solutions are proving increasingly essential – going beyond passenger entertainment to enhance onboard operations. As a result, the In-Flight Entertainment & Communications (IFEC) Zone at Aircraft Interiors Expo (AIX) – part of the Passenger Experience Week series of events – will be a hive of activity when it returns from 2-4 April. More than 100 leading suppliers will be present, including Panasonic, Bluebox Aviation Systems, Gogo, Honeywell Aerospace and Thales, providing those responsible for designing cabin spaces with a unique opportunity to source new systems that will enhance their passengers’ experiences. Demonstrating how cinematic VR can transport premium passengers to their own private movie theatre, SkyLights will reveal how operators can set themselves apart from the competition and enable passengers to enjoy the latest releases in 3D, 2D and 180° VR. Its AlloSky VR Headset model is both WiFi and Bluetooth enabled, as well as being tether-to-seat ready. However, while VR offers passengers a new immersive way to consume entertainment onboard, seatback devices continue to satisfy passengers entertainment needs, as well as delivering ancillary revenue opportunities. Research by IATA has revealed that 54% of passengers would choose to watch digital content on a seat-centric system, rather than their own device (36%). And a number of leading suppliers will showcase their latest solutions in the IFEC Zone, including digEcor which will demonstrate its GLIDE embedded inflight entertainment system. Complete with a customisable, open platform system that is easily integrated with in-seat power, LED lighting and cabin crew services, it can be adapted to any airline’s technology requirements. IFEC hardware and software is also playing an integral role in creating a premium, personalised passenger experience. Significant improvements in real-time data analytics are enhancing operator’s ability to drive ancillary revenues through customer targeting and onboard retail opportunities. Demonstrating the importance of a connected travel experience, Passenger Technology Solutions (PTS) – which moves from the A Halls to the B4 Upper Hall when it returns to Passenger Experience Week 2019 – will further demonstrate innovative ways to enhance the end-to-end passenger journey. The move positions the show closer to the popular IFEC Zone and demonstrates the growing importance of big data analytics, machine learning, Artificial Intelligence (AI) and Virtual Reality (VR) solutions in personalising the passenger experience and delivering innovative inflight entertainment services. Completing Passenger Experience Week 2019, the World Travel Catering & Onboard Services Expo (WTCE) will see more than 350 suppliers of travel catering, onboard retail and passenger comfort products welcome rail, airline and cruise buyers looking to source new products. Meanwhile the revered Passenger Experience Conference, running on 1 April, will deliver the latest trends and insights that will shape the future of the industry. Four leading events – the Passenger Experience Conference, Aircraft Interiors Expo, World Travel Catering and Onboard Services Expo and Passenger Technology Solutions – one week, one destination. Delivering content, driving innovation and developing connections to transform your business. Showcasing the latest in cabin interiors, inflight entertainment and connectivity, onboard technology, passenger comfort, catering and travel retail to create the ultimate passenger experience. 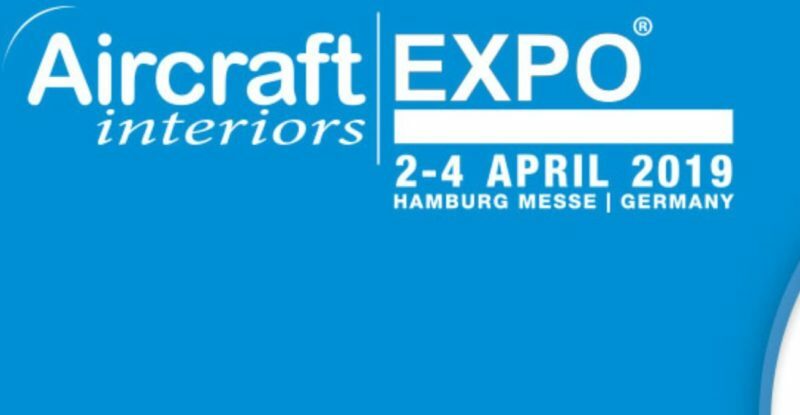 Taking place 1-4 April 2019 in Hamburg, the events attract more than 18,000 visitors including 2,000 buyers and decision makers from major full service, regional and charter airlines and rail operators and offers the opportunity to meet face to face with suppliers and manufacturers covering the full spectrum of the industry.